With its leadership awaiting trial for a series of alleged felonies, why would someone vote for Golden Dawn? 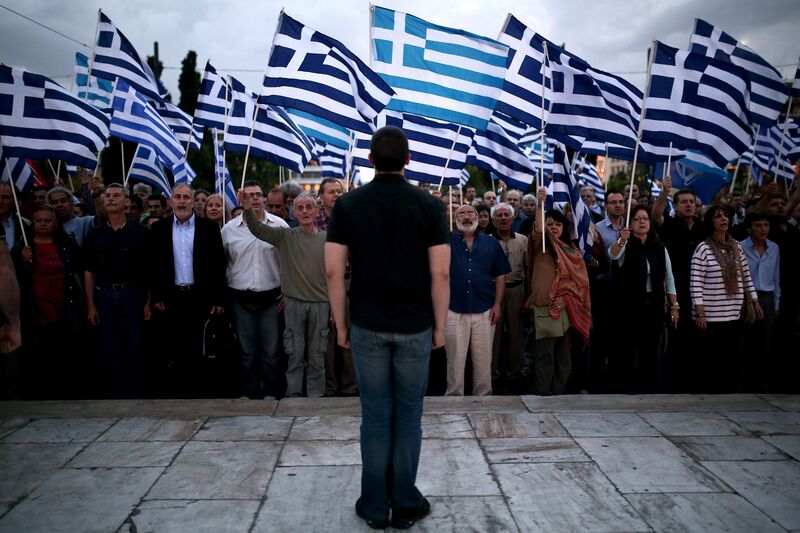 “Golden Dawn is changing. To me, as a voter, there are clear signs of political maturity. The party is moving away from what used to be its core ideology; it’s not about kicking and punching immigrants anymore,” says Thodoris, a mild-mannered 45-year-old civil servant a few days after the far-right party gained seats in the European Parliament for the first time in its history. Thodoris, who lives in the seaside resort town of Porto Rafti, east of Athens, says he initially voted for the anti-immigrant, ultranationalist and Holocaust-denying group in 2012, mainly to protest the way Greece’s two mainstream parties were handling the debt crisis. But at last month’s European Parliament elections, the former PASOK supporter – who did not wish to give his last name – says he had extra reasons to do so. “While other parties promoted celebrities and soccer players to run in the European elections, Golden Dawn picked serious men,” says Thodoris, a devout Christian. Former lieutenant generals Eleftherios Synadinos, who once commanded the Greek army’s special forces, and Georgios Epitideios, a former director at the European Union Military Staff, as well as Lambros Fountoulis, the father of murdered Golden Dawn member Giorgos Fountoulis, accepted the invitation to run on the party ticket. Just eight months ago, such a result seemed almost unthinkable. In September 2013, Golden Dawn leader Nikos Michaloliakos was taken away screaming and cursing in handcuffs to the high-security Kordyallos Prison, along with dozens of high-ranking party members and several MPs. But despite its leadership still being behind bars awaiting trial on charges of running the party as a criminal gang, Golden Dawn still managed to make a strong showing in Greece’s local and European elections last month, augmenting its nationwide political presence and surpassing expectations. In the regional elections, the party won 31,903 more votes compared to the national vote of 2012, electing 26 regional councilors in 12 out of the 13 regions it campaigned for. Meanwhile, on a municipal level, Golden Dawn had 14 councilors elected in the nine municipalities where it ran. Four of them were elected in Athens where the party tripled its percentage compared to the 2010 local vote. “The desire for retribution, which manifested itself in the 2012 elections, once again ushered voters toward GD, while in areas such as the Athens municipality and the Attica region, where the party commands a more solid backing, its performance most probably reflects some form of real support for the party rather than just anger or disillusionment with politics,” says Lamprini Rori, a political analyst who has conducted extensive research into Greece’s foremost far-right party. “Voters whose anger initially turned them toward Golden Dawn appear to be gradually starting to identify with the party,” says Rori, adding that although the party’s geographical representation remains uneven, it managed to attract votes from more age groups and professional categories. Greece’s crippling financial crisis – the economy is in the seventh year of a recession that has driven unemployment to around 27 percent – has been a windfall for Golden Dawn, which used to poll well below 1 percent. However, analysts agree that Greeks’ declining living standards are by no means the only factor in GD’s meteoric rise. “None of the other countries that suffered an economic crisis in recent years, such as Spain, Portugal or Ireland, witnessed a rise in extremism in recent elections,” Rori says. “In fact, far-right and Euroskeptic parties made gains in countries that were not that seriously affected by the crisis, such as the United Kingdom and France,” she adds. Marine Le Pen’s anti-immigration, anti-euro National Front topped the national vote in France for the first time, while Nigel Farage’s UK Independence Party, which advocates immediate withdrawal from the EU, won a stunning victory across the Channel. But analysts believe the sociocultural factors which catapulted Golden Dawn into the political mainstream were apparent before the debt crisis hit Greece. The steady degradation of the center of Athens after the 2004 Olympic Games, soaring crime rates and the rapid influx of immigrants in certain downtown areas created a window of political opportunity for Golden Dawn, enabling it to ensconce itself in the capital’s fourth and sixth municipal districts. It was in working-class neighborhoods such as Kolonos, Sepolia, Akadimia Platonos, Kypseli and Patissia that the party’s foot soldiers gained the trust of native Greek locals who felt abandoned by the state. Golden Dawn developed a grassroots following that organized protest rallies, food drives, offered protection services and launched vigilante-style patrols, including violent attacks on immigrants. Golden Dawn claimed to be taking on the duties of a corrupt, dysfunctional and unloving state as trust in official institutions and traditional political parties was obliterated by the crisis. Meanwhile, the participation in November 2011 of Giorgos Karatzaferis’s populist right-wing Popular Orthodox Rally (LAOS) in the interim administration led by former central banker Lucas Papademos gave Golden Dawn a monopoly on the far-right anti-systemic vote. Moreover, Golden Dawn’s neo-Nazi rhetoric jelled with the 69 percent of an electorate that harbors anti-Semitic beliefs, according to a recent survey by the Anti-Defamation League. Just three years after receiving a paltry 0.29 percent, Golden Dawn won 6.9 percent of the vote and 18 parliamentary seats in the June 2012 national elections. New Democracy attempted to counter Golden Dawn’s rise by bringing in two popular lawmakers from LAOS and adopting a hardline attitude on issues such as street crime and illegal immigration, hoping this would bring voters back. During the 2012 election campaign, ND leader Antonis Samaras labeled migrants as “tyrants” and spoke of the need to “reclaim” city centers from their grip. After becoming premier, Samaras scrapped a law granting citizenship to second-generation immigrants before blocking an anti-racism bill a year later. ND’s candidate for Athens mayor, Aris Spiliotopoulos, adopted an openly xenophobic agenda in his 2014 campaign, attacking plans to construct a mosque in Athens on the grounds that the capital did not need “another magnet for illegal immigration” or “third-world tents under the sacred rock of the Acropolis.” Despite his own coalition government’s much-vaunted plans for going ahead with the construction of a mosque in Athens, Spiliotopoulos proposed a referendum on it, an idea that had been put forward months earlier by Golden Dawn’s own mayoral candidate. These attempts by ND to break into far-right terrain worked to Golden Dawn’s advantage, bringing its pet issues into the mainstream of what is politically acceptable. “When a political player haphazardly tries to hijack the issues and the framing of a rival political force, voters do not just remember the issues but also who is more suitable, in their judgement, to deal with these issues. GD obviously benefited from this,” Rori says. In the capital’s mayoral race, far-right candidate Kasidiaris, also under criminal investigation, drew almost level with New Democracy, gaining 16.1 percent to Spiliotopoulos’s 16.9 percent. Both candidates failed to make the runoff. Initially, the massive crackdown on the party after the murder of rapper Pavlos Fyssas, aka Killah P, by a Golden Dawn member in the Athens neighborhood of Keratsini last September was anticipated to reverse the group’s momentum. But these expectations were quickly flattened. The launch of a judicial investigation saw a decline in grassroots actions and violent attacks but fell short of dampening the party’s appeal. Polls show that GD actually increased its share in Keratsini and neighboring Perama. “The party did everything to portray the ongoing criminal inquiry as politically motivated, a strategy that allowed it to galvanize its party base,” Rori says. Meanwhile, hard proof, such as a much speculated-upon weapons cache, has not been found, nor has a trial date yet been set, fueling belief among some voters that the investigation into the party is political motivated. Thodoris, for one, believes the arrests are of dubious legality. “There is no evidence for these trumped-up charges. It’s all reactionary and dirty propaganda by the media. It may fool older people like my parents, but not conscious folk like myself,” he says. “These people were sent to jail although nothing has been proved,” says Thodoris, who believes that the killing of Fyssas – as well as other widely recorded attacks against immigrants across the country – was an isolated incident that should not be attributed to commands from the top echelons of the party. Golden Dawn’s martyr status was reinforced by the murder of two party members – 22-year-old Manolis Kapelonis and 26-year-old Giorgos Fountoulis – who were shot in cold blood in the Neo Iraklio suburb of Athens in November. The shooting was claimed by a previously unknown – and silent since – urban guerrilla organization. “Golden Dawn showed it was able to hold back its members from reacting,” says Thodoris, a sign to him that the party had moved on from its violent past. Another boon toward Golden Dawn’s increasing legitimacy has come in the form of costly blunders made by mainstream politicians. 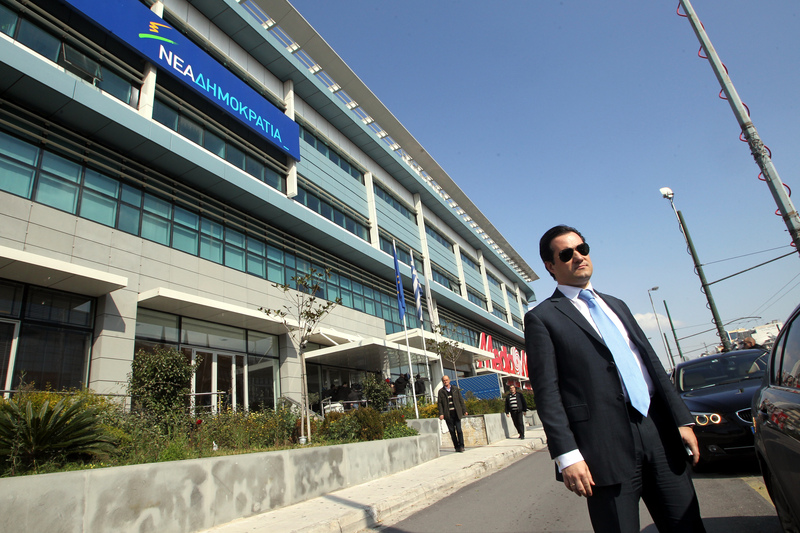 Cabinet secretary Panayiotis Baltakos, Samaras’s chief of staff, was forced to resign in April after he was secretly filmed in a private meeting with Kasidiaris during which he accused the Greek premier of instigating and influencing the judicial inquiry against GD for political gain. “The Baltakos incident and the approval by the Supreme Court of Golden Dawn’s participation in the European elections both served as an alibi for the party’s voters who were looking for a way to justify their choice,” Rori says. Speaking in an interview with To Vima newspaper on Sunday, Baltakos was adamant that there is a kinship between ND and Golden Dawn voters. He said his party should continue to court GD supporters. “The leaderships of the [right-wing] parties cannot merge. That is evident. But the voters can. That too is evident,” said Baltakos. With Golden Dawn polling just under the 10 percent threshold, pundits are still debating how much of their support comes from protest votes and whether there are still misguided voters out there who have little stomach for neo-Nazi ideology. “With 66 party members facing charges and 29 – including six deputies – sitting in jail pending trial, it would be rather naive to speak of misguided voters,” says Rori. But classifying all of these voters as neo-Nazis is a different matter altogether, she adds. Vasilis Lyritsis, managing director at the refugee reception center run by the Hellenic Red Cross in Lavrio, on the eastern coast of Attica, also disputes the concept of the ignorant voter. “I do not believe any Golden Dawn voters were ‘misled,’ as it were, or that they did not know what they were voting for,” he says. Lyritsis, who ran as a regional candidate on a center-left ticket backed by the small Democratic Left (DIMAR) party, believes the mainstream parties must stand against Golden Dawn using clear political discourse on everything from human rights to the protection of minorities and other vulnerable groups. “Politicians should not make any ideological concessions in the hope of stealing voters away from the neo-Nazis. The European elections demonstrated clearly that this does not work,” Lyritsis says. A stumbling block in that direction is that political polarization regarding Greece’s bailout agreements with foreign lenders has prevented mainstream parties from forging a unified response. At the same time, experts say, the political class must work to rebuild the institutions of the state, because Golden Dawn has shown its adeptness at squeezing through the cracks and infiltrating basic functions of government. “Golden Dawn exploited the absence of institutions like the police, welfare and justice against the more vulnerable groups of the population in order to weave its web,” says Lyritsis, who deems the party should have been outlawed because it is a threat to democracy. However, analysts agree that the safest way to curb the influence of extremist ideas in the long run is to educate the voters of tomorrow. Lyritsis maintains the country needs to move beyond a nation-centric education. “Portraying the ‘other’ as an enemy who is nearly by default blamed for all the nation’s woes has caused a great deal of navel gazing and an overblown national ego created around the idea of a chosen people,” says Lyritsis, who is also a trained historian. And while extremist ideas continue to gain traction and voters, Greece’s two traditional political parties, wedded in an uneasy coalition government, are shedding voters apace. The question is, who will replace them if they perish? Greek authorities must review the procedures of an extensive crackdown on suspected irregular immigrants, Human Rights Watch (HRW) said Wednesday, criticizing police sweeps as abusive and ineffective. The allegations were made during a presentation of the international organization’s latest report, “Unwelcome Guests: Greek Police Abuses of Migrants in Athens,” in the Greek capital on Wednesday. The report highlights invasive police checks and arbitrary detentions within the contours of an ongoing operation dubbed Xenios Zeus, bizarrely code-named after the Greek god of hospitality. The 52-page report documents frequent police checks of individuals with a foreign-looking appearance, unjustified searches of personal belongings, derogatory verbal language and occasional physical abuse. According to the HRW study, which is based on more than 40 interviews with Athens-based immigrants, tens of thousands are held at police stations pending verification of their legal status. “There is definite lack of training which gives rise to discrimination from police,” said Eva Cosse, a Greece expert at HRW and author of the report, who said that racist attitudes inside the force are a “chronic” problem. “Such methods, however, are also a way to send the message and put it across that these people are not welcome,” Cosse said, slamming Greece’s conservative party, now head of the government coalition, for its heavy-handed approach to immigration. Prime Minister Antonis Samaras has in the past pledged to “take back our cities from migrants,” while his New Democracy party recently turned down a more inclusive anti-racism bill supported by junior coalition partners PASOK and Democratic Left, proposing its won legislation to tackle discrimination instead. Many of the abuse victims interviewed by HRW said they felt that they were repeatedly targeted by police because of their skin color or other physical characteristics. Abuse often seems to go beyond ethnic profiling and insulting language. “Body pat-downs and bag searches during immigration stops appear to be routine, even in the absence of any reasonable suspicion that the individual is carrying unlawful or dangerous objects,” the HRW report says. Greece is the main gateway into the European Union for migrants from Asia, the Middle East and Africa. The majority hopes to reach one of the more prosperous states in Western Europe, but many become caught up in this debt-wracked country. On top of being exposed to a burgeoning wave of racially motivated attacks, at least partly attributed to the rise of the neo-Nazi Golden Dawn party, immigrants also face arrest, lengthy detention and deportation, as documented by several human rights groups. Asylum-seekers fleeing persecution at home are not spared from the crackdown either, activists say. The conservative-led government, though, says that its tougher approach to illegal immigration, including more stringent checks on the Evros border with Turkey, where an extra 1,800 guards have been deployed, has led to the number of undocumented migrants trying to reach Greece dropping substantially. Greece reported more than half of all detections of irregular border crossings in the EU from July-September 2012 but only 30 percent between October and December. “Greece has a right to control irregular migration,” said Veronika Szente Goldston, Europe and Central Asia advocacy director for HRW, adding that Dublin II regulations are weighing the country down with an uneven share of the burden. “But the country still has to ensure it does not violate human rights,” she said. Almost 85,000 foreigners were forcibly taken to police stations for verification of their immigration status in the seven-month period between last August, when Xenios Zeus was launched, and this February, according to police figures cited in the report. “However, 94 percent of those detained had a legal right to be in Greece,” said Goldston, suggesting that police are casting their net too far and too wide. The very small percentage of those who were found to be in the country without permission should also raise doubts about the effectiveness of the crackdown, HRW warned. Investing so many resources just to catch the wrong people and release them afterward is a huge waste of time and money, the group said. “Operations must be based on evidence and intelligence, not stereotypes,” Cosse said. 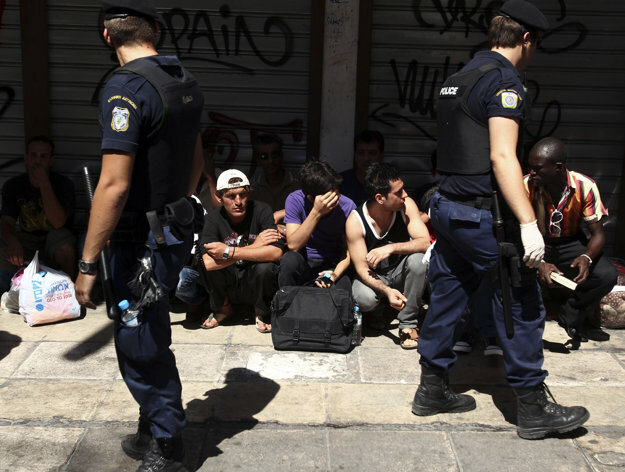 HRW called on authorities to review the police’s general stop-and-search powers and to take steps to ensure that the identification of clandestine migrants is conducted in line with Greek and international laws on discrimination, ethnic profiling and arbitrary deprivation of liberty. Worryingly, Goldston said, the HRW findings and recommendations appear to have so far been mostly snubbed by officials at the Public Order Ministry. “We have met with denial,” she said, adding that government officials have cast doubt on the HRW research and data. “It is in the DNA of Greeks not to be racist,” Goldston quoted one unnamed Greek official as responding. Racially motivated attacks have risen in number as well as intensity in Greece as authorities’ efforts to tackle the problem remain halfhearted, a network of human rights organizations has warned. Greece, a main transit point for Asian and African immigrants seeking to set foot in the European Union, has seen a growing wave of xenophobia prompted by a mix of economic malaise and political disillusionment. Golden Dawn, a neofascist party that wants to kick foreigners out of the country, currently controls 18 seats in the 300-member House while polling around 11 percent in recent surveys. A total of 154 racist attacks were recorded in 2012 by the Racist Violence Recording Network, a collection of 30 nongovernmental organizations initiated two years ago by the UN refugee agency (UNHCR) and the National Commission for Human Rights (NCHR) that presented its 2012 report yesterday in Athens. But the actual number is believed to be a lot higher as victims are either too scared to report incidents to the police or because they are turned away. “What we are faced with is murderous, racist violence. Its objective is no longer just to intimidate, but to cause victims,” NCHR president Kostis Papaioannou told the press briefing. “Some people thought they did not have a dog in this fight. However, the range of attacks is growing in terms of geography as well as targets,” he said, mentioning that gay people are now also on the list of potential targets. The report was released a week after more than 30 Bangladeshi strawberry pickers in the Peloponnese district of Manolada suffered shotgun wounds during a dispute over six months of back pay with their supervisors. The three foremen have been charged with attempted murder and illegal weapons possession and will await trial in prison custody. Most of the documented hate attacks occurred in the Athens districts of Omonia, Aghios Panteleimonas, Attiki Square and Amerikis Square – all areas with large immigrant populations. Forty-four of the victims were asylum seekers, four were recognized refugees, 15 possessed residence permits, and 79 were unregistered, according to the report. The majority were Muslims. Most victims were attacked in public spaces such as squares or on public transport, usually by groups of men dressed in black, and at times with military trousers, wearing helmets or with their faces covered. Several carried Golden Dawn insignia or had been spotted at public events organized by the party. Perpetrators occasionally included Albanian immigrants. In many cases victims reported the use of weapons, such as clubs, crowbars, folding batons, chains, brass knuckles, knives and broken bottles. Assailants sometimes used large dogs. “The victims had suffered multiple injuries,” said Giorgos Tsarbopoulos, head of the UNHCR office in Greece, ranging from fractures and contusions to symptoms of posttraumatic stress. 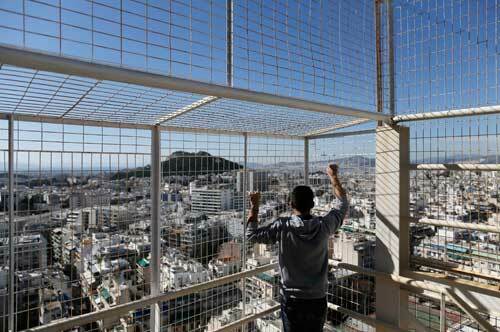 Fear of attack has turned several neighborhoods in Athens into no-go areas for the capital’s immigrant population. “People are too afraid to walk out of their home to buy bread,” said the president of the Association of Afghans United in Greece, Reza Golami. Activists worryingly noted a growing involvement of police officials and public servants in racist attacks. Most such incidents, the report said, concerned duty officers who resorted to illegal acts and violent practices while carrying out routine checks. “Many in the police force have come to view racist violence as something normal, a natural state of affairs,” Papaioannou said, adding that part of the problem is that xenophobic language has moved deep into mainstream territory. Before the 2012 elections, Antonis Samaras, now leader of Greece’s conservative-led coalition, pledged to “reclaim” cities from the hordes of illegal immigrants. Some of the attacks, the report said, came from public servants. Earlier this month a bus driver in Thessaloniki, northern Greece, forced two passengers to get off his bus because they were immigrants. Experts said that many victims are reluctant to report the attacks because they lack legal documents and are therefore afraid that the police will arrest and deport them. “Instead of investigating whether a crime has been committed, police officers rather check whether the victims have legal residence permits,” said Vassilis Papastergiou from the Group of Lawyers for the Rights of Migrants and Refugees. Activists said authorities should instead provide for the suspension of arrest and deportation decisions against victims who file a complaint. The report recommended that victims be given a residence permit on humanitarian grounds, similar to the protection awarded to victims of trafficking – a status awarded to the Manolada victims. “We hope that the interest in these people will not last only as long as the spotlight is on Manolada,” Papaioannou said. Greece on Wednesday pledged to halt deportations of Syrian refugees, as human rights activists called for measures to ensure that asylum seekers from the war-torn Middle Eastern state have access to Greek territory and safety. “No Syrian refugees will be detained or returned,” Manolis Katriadakis, who is responsible for migration issues at the Ministry of Public Order, told a conference organized in Athens by the United Nations Refugee Agency. “Deportation decisions on Syrians will be suspended and reviewed every six months,” he said, adding that authorities were trying to improve access to asylum services for them. Two years since the uprising against the regime of President Bashar al-Assad, it is estimated that more than 70,000 Syrians, mostly civilians, have died while tens of thousands of political prisoners remain unaccounted for. The UNHCR reckons that over 1.3 million refugees, 71 percent of whom are women and children, have fled Syria and a further 2 million have been displaced within the country as the Arab Spring-inspired protest movement degenerated into an increasingly sectarian conflict. “The Syria situation is one of the most complex and dangerous in the world and the largest and most quickly deteriorating humanitarian crisis on the planet,” UNHCR regional refugee coordinator for Syria Panos Moumtzis said. “The situation is desperate and is becoming explosive,” he said. Greece, a key transit point for Asian and African immigrants seeking to sneak into the European Union, has been relatively unaffected by the Syria crisis, figures suggest. Last year, about 8,000 Syrians were detected entering or residing in Greece illegally. A total 1,623 Syrian nationals were arrested in the first quarter of 2013. There is no official number of the Syrians living in Greece at the moment. “Greece must remain on standby, but it is by no means faced with a [humanitarian] crisis, said Giorgos Tsarbopoulos, head of the UNHCR office in Greece, adding that the brunt of the refugee exodus has been borne by Syria’s neighbors. Lebanon has received an estimated 417,827 refugees while 432,263 have fled into Jordan. An estimated 400,000 Syrian refugees are in Turkey and Iraq has provided refuge for 130,379 people. Strengthened security in the Evros region, including a 10.5-kilometer barbed-wire fence along the Turkish frontier, has led to a spike in arrivals on Greece’s eastern Aegean islands only a few kilometers from the Turkish coast. 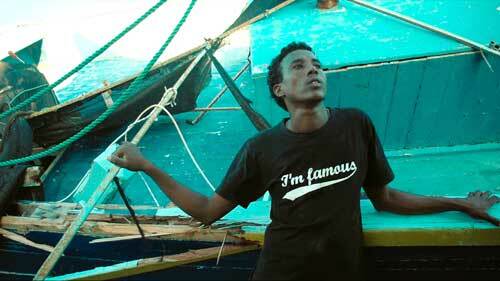 Would-be immigrants pay smugglers thousands of dollars for space on a packed rubber dinghy. Dozens drown in the sea every year. Those who manage to get a foot on the ground have to deal with messy asylum and immigration systems and the growing menace of far-right thugs. Like all other immigrants, Syrians are subject to arrest, detention, rejection of asylum, pushbacks and deportations, activists say. In 2012, the number of Syrians granted asylum in the first instance was just two. Because of Greece’s bad reputation, most don’t even bother to apply for protection status – only 152 applications were submitted last year. Meanwhile, at least 55 have been deported since last year according to Human Rights Watch, although Greek authorities deny the allegations, saying these concerned voluntary repatriations. “Detention is problematic and conditions are inappropriate,” Tsarbopoulos said of the overcrowded and underserviced migrant camps across the country while stressing the problems caused by the lack of interpreters and qualified interviewers to even establish if the asylum seekers are Syrians or not. “Clearly, they are not treated the way they should be by the authorities,” he said. Greece’s much-criticized asylum system is finally set for a revamp. In 2011 the country, which has often complained of unfair burden-sharing to its peers in the 27-member bloc, was found in breach of the Convention on Human Rights over detention conditions at immigrant camps. The new asylum system, which will not involve the police, is to go into effect on June 1, Katriadakis said. “That will hopefully solve most of the problems,” he added. Some three months since ousting a veteran MP for suggesting that “extremist right-wing droplets” had infiltrated the party, New Democracy leader Antonis Samaras last week welcomed two far-right politicians into the fold. Makis Voridis and Adonis Georgiadis were both expelled from the ultranationalist Popular Orthodox Rally (LAOS), the junior partner in Greece’s coalition government, for supporting the terms of Greece’s loan deal with the European Union and the International Monetary Fund. The perennially ambivalent LAOS rejected the deal and withdrew its support from the government. Meanwhile, Samaras, who had vehemently opposed the first loan deal in 2010, ousted 22 deputies for turning down the second aid package. Analysts have interpreted the recruitment of the two politicians as an attempt to offset the damage of losing the 22 MPs and, on a more strategic level, as a bid to rally a party base disaffected by ND’s involvement in the coalition government. “Damaged from his involvement in the coalition, Samaras wants to siphon votes from crumbling LAOS,” historian and political blogger Vasilis Liritsis told Kathimerini English Edition. Going mainstream came with a hefty price for the party of Giorgos Karatzaferis, who saw its popularity tumble to 5 percent, from 8 percent during its heyday in 2010. Meanwhile, the neo-Nazi Chrysi Avgi (Golden Dawn) party has surged to 3 percent, hitting the threshold for entering Parliament. “For ND, having the two far-right politicians on board is part of a bigger strategy to eat into rightist territory,” Liritsis said. However, some observers point out, this is not an indiscriminate overture to the far right. The conservatives are only trying to woo politicians who backed the bailout deal. “ND needs to show its electorate that the memorandum was not only supported by PASOK and other reformists but also by a section of the nationalist far right,” said Vassiliki Georgiadou, a political science professor at Panteion University in Athens. “This is what brought Voridis and Georgiadis to ND,” she said. Voridis and Georgiadis, who were both given portfolios in the coalition government led by former central banker Lucas Papademos, have repeatedly drifted into democracy’s gray zone by expressing nationalist and anti-immigration views. 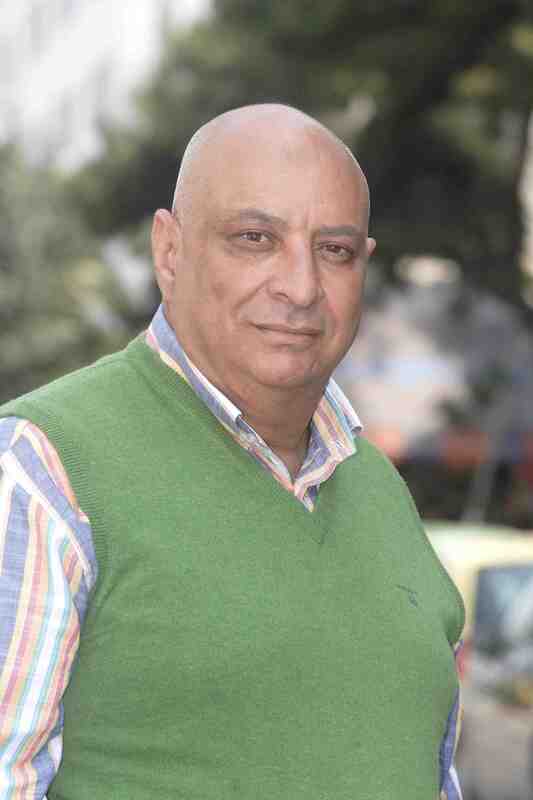 Georgiadis, who resigned as deputy minister for development, competitiveness and merchant marine, has made a name for himself as a flamboyant telemarketer and publisher of pseudo-scientific patriotic literature. He has in the past called for the en-masse deportation of Albanian immigrants and, as a lawyer, he has defended historian and Holocaust denier Costas Plevris in court. Voridis, who has kept his position as minister for infrastructure, transport and networks, was leader of the EPEN (National Political Union) youth group founded in the early 1980s by Greece’s jailed dictator Georgios Papadopoulos. A few years later, he was banned from the student union at the Athens Law School for engaging in extremist acts. A picture of Voridis taken around that time shows him walking down a central Athens street with a homemade ax. In the mid-1990s, he founded the nationalist Hellenic Front (Elliniko Metopo), modeled after Jean-Marie Le Pen’s National Front in France. Hellenic Front was absorbed by LAOS in 2005. Voridis has gradually gone mainstream, adopting a crafted, airbrushed image. His public language habitually taps into popular concerns about crime, illegal immigration and law-breaking acts of leftist activists. His tough positions tread the limits of political correctness but usually not enough to alienate a mainstream audience. “ND’s ideology is tied to two central concepts that belong to the value system of the right: the nation and freedom,” he said. ND has historically had an ambivalent relationship with the far right. Faced with the prospect of election defeat in 1981, the party absorbed the royalist National Alignment (Ethniki Parataxi), although that was not enough to stop Andreas Papandreou’s PASOK from sweeping to power. In 2000, conservative leader Costas Karamanlis ejected Karatzaferis, who went on to form his splinter LAOS party. He still scored a comfortable victory four years later. “When things are going well for ND, it likes to keep a distance from the far right. However, when they’re not and the party needs to galvanize support, it tries to embody the far right into its core,” said Georgiadou. Brutal belt-tightening measures, soaring unemployment and a pervasive sense of precariousness and lost bearings are making Greeks responsive to bunker-ish rhetoric from the edges of the political spectrum. Despite PASOK’s abysmal ratings in recent polls, ND is struggling to keep its head above 30 percent — not enough to form a government on its own. Meanwhile, combined support for the three leftist parties is at 42.5 percent, according to the most recent poll by Public Issue. Can people like Voridis and Georgiadis boost ND’s unconvincing ratings? Analysts are not so sure. Georgiadou says the strategy would work if it helped convince voters that ND was not drawn by PASOK or European leaders into backing the memorandum but rather did so out of conviction that doing so was in the national interest. “But if the recruitment of Voridis and Georgiadis was to mobilize the anti-right reflexes of centrist and center-right voters, then any gains on the right could be offset by defecting centrist voters,” Georgiadou added. That said, most of the damage to the center has already been inflicted by the very presence of Samaras at the helm of the party. “Look at ND. It’s not just Voridis or Georgiadis,” Liritsis said, pointing at close Samaras associates such as Failos Kranidiotis and Chrysanthos Lazaridis — both members of the nationalist Diktyo 21 think thank. Kranidiotis, a ND hardliner, this week said that with Samaras in charge of ND, LAOS no longer served any political purpose. “ND has completely lost the middle ground. It is gradually verging into far-right territory, turning more and more into a party reminiscent of the 1950s populist right,” Liritsis said. The transformation certainly marks a big change from yesteryear, when Greece’s big parties battled for control of the center. PASOK climbed to power in the mid-1990s after Costas Simitis swayed the center, riding the hype of Third Way politics engineered by fellow social democrats like Tony Blair and Gerhard Schroeder. Again, hijacking the middle ground was key to conservative Costas Karamanlis’s success eight years later. “The voices of people like Kyriakos Mitsotakis or Costis Hatzidakis are no longer heard,” said Liritsis in referrence to ND’s so-called liberal faction while lamenting the country’s drifting from consensual centrism. It’s not easy to get hold of Naim El-Ghandour these days. As the anti-Muslim sentiment in Greece grows, the 55-year-old Egyptian president of the Muslim Association of Greece has had to make a full-time job of defending the members of this heterogeneous minority against criticism – and increasingly against verbal and physical abuse. Growing tension between natives and foreign immigrants, most of them Muslim, in the capital’s scruffy neighborhoods was catapulted onto center stage last week as Muslims meeting to celebrate Eid al-Adha in public squares around Athens were occasionally harassed by locals and ultra-nationalist activists. Meanwhile, even mainstream media that have traditionally backed the long-stalled plans for a mosque in Athens faulted the decision by the Muslim community to hold their prayer service in front of the Athens University (Propylaia) as a symbolically loaded gesture. In this interview with Athens Plus, El-Ghandour, who has lived in Greece for the past 38 years, rebuffs criticism of the Propylaia gathering and expresses hope about the construction of a mosque in Votanikos, while pointing a finger at the failings of fellow Muslims. There is a growing number of attacks on Muslims in Greece. Where do you attribute this trend? It’s part of the rise of the extreme right in Europe. It’s a fashion that has caught on in Greece — but it will pass at some point. The ground is not fertile here, because Greeks are not racists. Is the far-right surge a symptom or a cause? Do you see any economic or social factors behind the trend? No, these are not merely economic. Islamophobia, the hatred for Islam, is not random. When the [ultranationalist] LAOS party and [extreme right-wing group] Chrysi Avgi were first established, they targeted Jews, not Muslims. This changed after 2001. I used to have a friend who was a member of the [LAOS] party and he would go on and on about the Jews. Now they have changed their tune. What about the impact of the economic crisis in Greece? Could people be looking for scapegoats? Smart people, educated people know all too well that the immigrants have not taken jobs away from the Greeks. However, the attacks are not necessarily coming from smart, educated people. Critics said that the recent prayer service [to celebrate Eid al-Adha, one of Islam’s main holidays] at the Propylaia was a political act, a show of force as it were. Such criticism comes from the same people. I’ve been living here for 38 years and I’ve always prayed in open space, except when the weather was bad and we had to move to the Olympic Stadium. We would also pray at Eleftherias Square, near the US Embassy, as well as other squares. So why all the fuss this year? Some said the Propylaia is a symbol of modern Greek enlightenment and it was an odd spot to pick for the prayers. We had three options: Klafthmonos Square, the Propylaia and Kotzia Square. We recently held a service on Kotzia but we thought of moving closer to a metro station. Where is the problem with that? We could have held it at Syntagma Square, which is also a convenient place, but we did not want to disturb passers-by. As for those who say this was a “show of force,” I say, a show of force against whom? The Greeks are our brothers and many of them visited the Propylaia to wish us well. By the way, a prayer service at the Olympic Stadium once drew 18,000 people. The recent one at Propylaia drew some 4 to 5,000. Where is the show of force? Critics make money out of their criticism. They have not looked into the issue carefully. Controversy sells, serenity doesn’t. The gathering at the Propylaia was interpreted as a reminder that Muslims who live here need a mosque. We know that the construction of a mosque is under way. The Defense Ministry and the City of Athens have signed an agreement for the removal of the Navy base in Votanikos [to make space for a mosque]. It’s all been planned. The money has been found and things are edging forward like everything else here: slowly. So there is no talk of taking the issue to the European Court of Justice? Do you think that Muslims who live in Greece must make a greater effort to integrate into society? Yes, integration is a problem. To people from Bangladesh for example, and all those who walk around in supposedly religious attire, I tell them that there is no religious Islamic dress code – except for the women’s headscarf. Prophet Muhammad used to wear all sorts of clothes and colors. If he were alive today, he would probably be dressed in a suit and a tie. This is why I tell them: “Wear normal clothes like everyone else,” so that people are not intimidated when they see a different culture in front of them. We are not all the same. Some people are OK with this, some are not. At the end of the day, it’s they who came here, not the other way around. We can do this gradually, with long-term planning after we get an official imam. Skeptics are concerned that some Muslims elevate religious law above the law of the state. They draw on the experience of other European countries, such as France and Holland. Greece is not France. Those who went to France came mostly from the colonies that France had sucked the blood out of. You mean to say that there is no vindictiveness by immigrants here? That’s right. The Greeks never treated people like the French or the British did. On the other hand, Muslims who live here are often not treated well either. Some might feel vengeful here, too. It’s not like that here. Greece never asked these people to come here. And more came here [than Greece could absorb]. For every 10 jobs, there are some 100 people. That was bound to cause problems. Greeks are not to blame for this. And then there is the [economic] crisis. I hope it will all work out in the end. This wave of hatred will abate. Many migrants are moving back to their homes. A number of programs are under way aiming to solve the problems caused by the large number of immigrants living in the center. Some will be accommodated in guesthouses that will provide food and a decent place to sleep. Some good will eventually come from the evil. Politicians will now have to implement the proposed solutions.